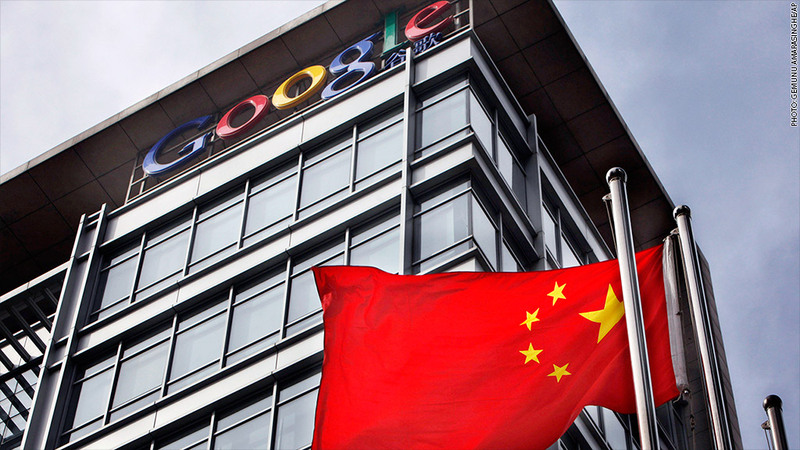 Google has run afoul of the Chinese government once again. Authorities in Beijing restricted access to Google (GOOGL) services this week, according to Chinese censorship watchdog GreatFire.org, rendering the search engine as well as products like Gmail and Google Calendar inaccessible to millions of Internet users. "We've checked extensively and there are no technical problems on our side," a Google spokeswoman said. The move came ahead of the 25th anniversary of the bloody Tiananmen Square crackdown, discussion of which is still strictly censored by the Chinese government. Google isn't completely blocked in China: Some Chinese residents have still been able to reach Google services, according to the company's public data, but total traffic has dropped in recent days. Services like Facebook (FB), Twitter (TWTR) and Google-owned YouTube, meanwhile, have long been completely blocked by the government. Google has tangled with Beijing on a number of occasions over censorship issues. The site and all its major services were blocked back in 2012 as the Communist Party met for its once-a-decade gathering to appoint new leaders. In January 2010, Google threatened to shut down its Chinese search site at Google.cn, citing censorship rules and the discovery of a cyber attack on its network infrastructure. Two months later, the company said it would stop censoring searches on Google.cn and automatically redirect Chinese users to its uncensored Hong Kong site. The Hong Kong site and other international Google portals have been restricted in China during this latest disruption, GreatFire said.